Compatible Models (if the charging port is located in the middle of bottom side) :Apple iPhone 7 Plus, 6s Plus, 6 Plus; Samsung Galaxy S6 Edge, S6 Edge +, S7 Edge, Note 5, 4,,3, J7, J2 Prime, J5; LG, G5 G4, G3, X Fast, V20; Motorola Moto Z, Z Play, E; Google Pixel XL, Nexus; HTC One 10, Desire 10; Xiaomi Redmi Note 4, 3; Sony Xperia Z5 Premium, XA Ultra; Huawei Mate 8, G7 Plus, P9 Plus; ASUS ZenFone; OPPO R9s, R9 Plus and more! 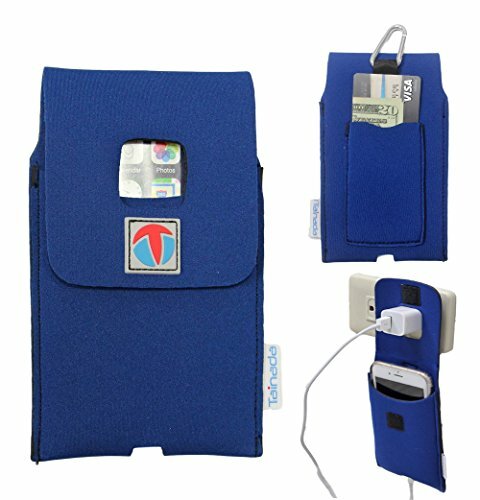 Unique and creative wall charger hanger design turns the pouch into a portable phone holder that will keep your phone off of the ground and help you charge the phone from any outlet in the house, office, or hotel room, etc! If you have any questions about this product by Tainada, contact us by completing and submitting the form below. If you are looking for a specif part number, please include it with your message.